iKON - Perfect &amp; Don&#39;t Forget. iKONTINUE TOUR ENCORE STAGE IN SEOUL. iKON vocal line sang Perfect korean version and Don't Forget. Live streaming at joox music. Tracklist: iKON (???) - RETURN (2nd Album) 1. LOVE SCENARIO https://youtu.be/Jh-gBRITuVo 2. DON'T FORGET https://youtu.be/Ex66Qj_wdwM 3.
iKON CONTINUE TOUR ENCORE IN SEOUL @KSPO DOME. 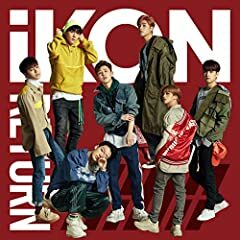 iKON - Don't Forget (????) Easy Lyrics ................ No copyright infringement intended. The song and the pictures are all belongs to YG Entertainment.